The Istanbul circuit has one of the scariest corners on the grand prix circuit. Turn eight is a long, almost flat-out bend with a triple apex. One mistake and it’s curtains but get it right and it presents a good opportunity to catapult a car right on the tail of the one in front and thus giving a great overtaking chance through turns nine, ten and eleven. Tyre wear has always been a problem here, not just because of the wear that a full loaded car puts on the tyres through turn eight but for all the other twists and turns around the circuit. Add to that mix the flakier Pirelli tyres for this season and the stopping strategy becomes a big factor. 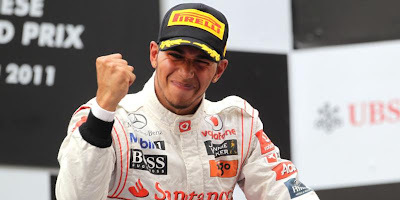 Lewis Hamilton won this race last year after Mark Webber finished on pole.